Wakatipu / Queenstown, New Zealand - home base all his life. He is an outdoors guy, who loves pushing himself to achieve and learn new things. Enjoys meeting people from around the globe and can be found in many departure lounges playing travel advisor to the many people who are on there way to NZ, with lots of questions as to where and what to do. The Remarkables are his home base Mountain, where he snowboards, split boards, hikes and climbs - keeping fit. He has spent the last 7 Winters based mostly in Colorado, USA so he can train and compete during the Northern Hemisphere. As an extreme Dyslexic - he was home based educated from the age of 7. Education Board Inspector said the best option would be "interest based learning", which has worked out well. Over the years he has done a number of courses including Avalanche, First Aid, Rescue Diving PADI. Most recently he has passed two Private and one Commerical Helicopter theory exams with a 97% average. Currently studying Small Business Management Course and due to start Pre Hospital Emergency Care Course. Notable recent achievements in sport. 2nd World Junior Snowboard Champships in Roglan, Slovenia 2016. Qualified and finished 39th at the Olympic Test Event in Pyeongchang, South Korea 2016. 10th Veysonnaz World Cup SBX, Switzerland, 2015. Nominated (1 of 3) NZ Snowboarder of the Year 2015/16. Recipient of NZ Prime Ministers Scholarship Education 2016. 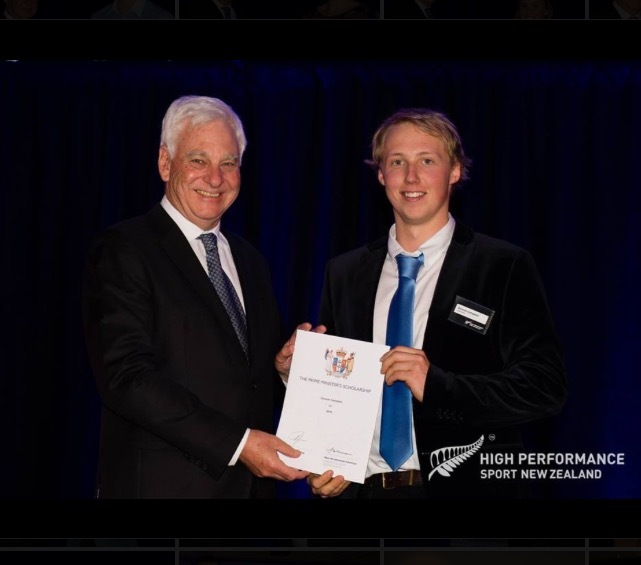 His ultimate goal would be to achieve New Zealand's first Winter Olympic Medal hence his seasons goal is to qualify to represent New Zealand at the 2018 Winter Olympics in Pyeongchang, South Korea. Current FIS rankings as at Aug 2016.